Make your father feel proud and happy to have such nice lovely kids by acknowledging his up-bringing and celebrating Father's Day. 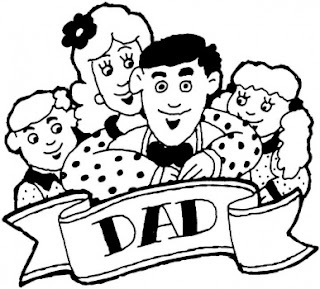 Try making out your own handmade greeting card or coloring sheet denoting your affectionate words- I Love You Dad, You Are A Great Father and many more quotes. Explore these below showcased Father's Day Coloring Pages to fill them colorfully.